Add some sports luxe vibes to your look with this crop top. 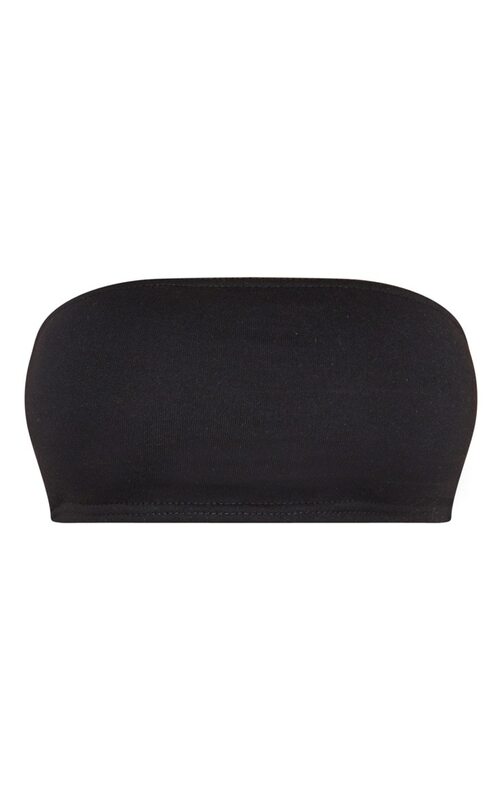 Featuring a black sweat material with a bandeau neckline and a cropped length. Team this with the matching shorts and fresh kicks to complete the look.